Hi, this is tutorial of root Samsung Galaxy Tab S2 SM T715. This root guide is working on Samsung Galaxy Tab S2 SM T715 Android 5.0.2 Lollipop and Android 6.0.1 Marshmallow. It is safe and easiest method for root Samsung Galaxy Tab S2 SM T715. Samsung Galaxy Tab S2 SM T715 has Brilliant 8.0 inch screen with HD 1536 x 2048 pixels resolution. This Tab comes with superb build quality and innovative design. Samsung Galaxy Tab S2 SM T715 has Super AMOLED display, it’s make this Tab very smoother and faster. If we talk on gaming of this Tab then we find Samsung Galaxy Tab S2 SM T715 performed very well. Samsung Galaxy Tab S2 SM T715 has superb performance, So root Samsung Galaxy Tab S2 SM T715 because root allows for you to use a maximum of your Tab without any restrictions. 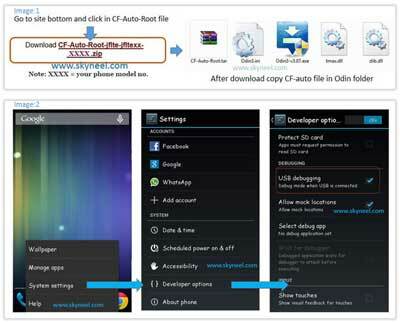 After root you will install custom apps, custom Rom and custom setting in your SmartTab. But first you read root Advantage and Disadvantage by this post then follow these steps and root your Tab. 1. Take a backup of your Tab. 2. Your Tab battery should charge 80% minimum. We need download these tools for root Samsung Galaxy Tab S2 SM T715 process. If you have Samsung Galaxy Tab S2 with diffrent variant then you must find your Tab variant root guide click here because this guide is work only for Samsung Galaxy Tab S2 SM T715. Step 1: Download and install your Tab USB driver on your PC and download Odin tool and CF-Auto-Root file and extract both file in a same folder. Step 3: Now we will go to Downloading Mode, So Switch off your tab. After then press and hold volume down key with Home key, while pressing these keys, then press and hold power button for a while and release all keys when you see ODIN Mode or Download Mode. see in this image. 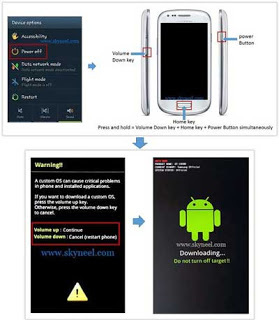 Step 4: You will see a warning massage on your Tab screen see in first image after then press Volume up key to continue or entering Download Mode. Now your Tab entered in the Downloading Mode. Step 5: Now double click on Odin.exe for run Odin tool and connect your device to PC via USB cable in Downloading Mode. When you connect your Tab to PC then Odin tool detect your Tab automatically and show COM port and give massage in massage box. See in this image. Step 8: Now Root process start and it take few second to root Samsung Galaxy Tab S2 SM T715. When root process will complete, then you will see green box in the Odin. see in this image. Step 9: In this process your Tab automatically reboot and you will get a massage pass in the Odin tool window. 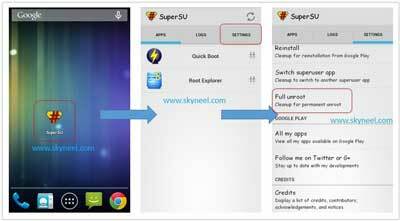 Now disconnect your Tab and start your Tab then go to Application Menu where you will see SuperSU app. If you want check your Tab is rooted or not, then use this app click here. It is must for you to know, how to unroot Samsung Galaxy Tab S2 SM T715 Tab. When you feel that you don’t want rooted Tab, then you can easily unroot your Tab by un-install root app. Here is simple steps to unroot your device. You can also see unroot process in this image.